This much talked about book, published in June of this year, charts the history of British poker from the illegal back room card dens and ‘spielers’ of yesteryear to the popular and respectable pastime it has become today. Des Wilson tells the intriguing stories of many of the UK’s top professional poker players in an entertaining and informative way. He calls these players ‘The Usual Suspects’ and sets out on a year long quest, travelling around the national and international poker circuit to try and discover the answers to questions such as ‘Who are these old-school poker pros?’ ‘Where do they come from?’ ‘Why are they so good at a game that looks so simple and yet is so complex?’ ‘What kind of lives do they lead?’ The result is a very engaging poker book with appeal to experienced players and novices alike. 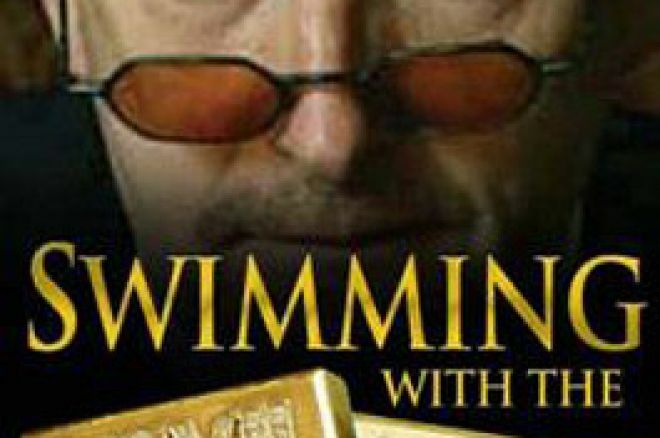 Given the title, it is unsurprising that he devotes the early chapters to the ‘rags to riches’ story of Dave ‘The Devilfish’ Ulliott, who overcame an early life of petty crime and poverty to emerge as a poker superstar, who won the first ever series of Late Night Poker and a coveted WSOP gold bracelet. As well as this in depth look at ‘The Devilfish’, other big name players featured in the book include Dave ‘El Blondie’ Colclough, John Shipley, Lucy Rokach, Simon ‘Aces’ Trumper, Roy ‘The Boy’ Brindley’, Paul ‘Action Jack’ Jackson, the whole of the Hendon Mob, Willie ‘The Diceman’ Tann and ‘Gentleman’ Liam Flood. There are some startling insights into the twilight world inhabited by these players, who in the words of the author live ‘in a place without breakfasts and mornings, without sunshine, without rush hours and desks and filing cabinets…without tax; in a tight community paradoxically made up of people dedicated to individuality, where it is within the rules to deceive and lie to take others money and yet, possibly within minutes of doing that, you trust a fellow player enough to lend him thousands of pounds without so much as a handshake’. There are some very honest revelations, many players have come from a gambling background and still have a weakness for horses, dogs, or other forms of gambling which cause them to ‘go broke’ far more often than if they saved or invested their hard earned poker winnings in less risky pursuits. Simon ‘Aces’ Trumper re-tells in detail the story he first shared with Poker Europa of how he went broke over a two year period. Roy Brindley shares an embarrassing tale of attempting to withdraw a large sum of money from an internet poker site following what he thought was a big win, only to discover he had been playing on a practice table for five hours after one too many beers. Paul Jackson shocks us with details of just how much money he has won playing multiple tables online and reveals that he has never gone into the red. One of the most bittersweet accounts in the book is that of veteran professional poker player Willie Tann. He has been at the very top of his game for many years, winning numerous titles including a gold bracelet and reaching 13 final tables in 2004 to become Europe’s number one player that year. However, he also has a serious gamblers mentality and loses much of what he wins at poker at the dice table or on the horses. No-one is more aware of the futility of this than Willie himself, who comments that ‘People know I am a gambler and I’m not proud of it. I’ve got a number of younger players who I’m teaching poker who are gamblers. So I tell them about the mistakes I’ve made in life and I hope they listen to what I say and don’t do what I did. I’m ashamed of it’. Some poker commentators have said that perhaps Willie regrets just how honest he was in this interview, but it is these rare insights into the minds of the players which make this book worth reading. The book concludes with a look forward at what the future may hold for poker following its unprecedented growth in popularity, particularly online. There has been discussion in recent times about the internet poker ‘bubble’, suggesting that the growth in the market cannot continue forever and that, at some point, the bubble must burst. Reasons given for this point of view include the fact that many players inevitably lose, the unreasonable length of time devoted to playing and the fall in value of Party Gaming since its stock market floatation. However, Des Wilson goes on to predict how he sees the future, with a consolidation of online poker rooms and a greater focus on tournament play rather than cash games. He describes tournament poker as ‘a healthier form of the game, relatively inexpensive to play, good value for money and effort, easier to regulate and probably not as addictive’. Now there is a point of view which can be hotly debated by all involved in the world of poker!